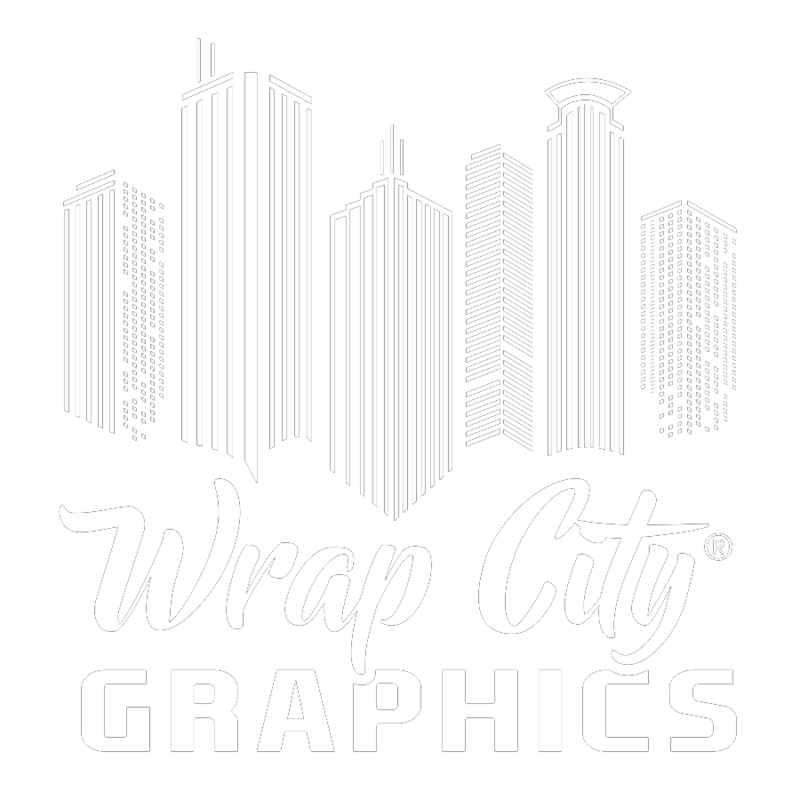 Established in 2005, Wrap City Graphics is a collection of friendly, experienced, and professionally trained designers and certified installers. What sets us apart is that we take pride in the quality of our work and the exceptional customer service we provide. We are not a franchise, we do not have sales reps, we survived the 2008 recession. We understand what it takes to run a successful business. And we want to help your business grow and be successful! 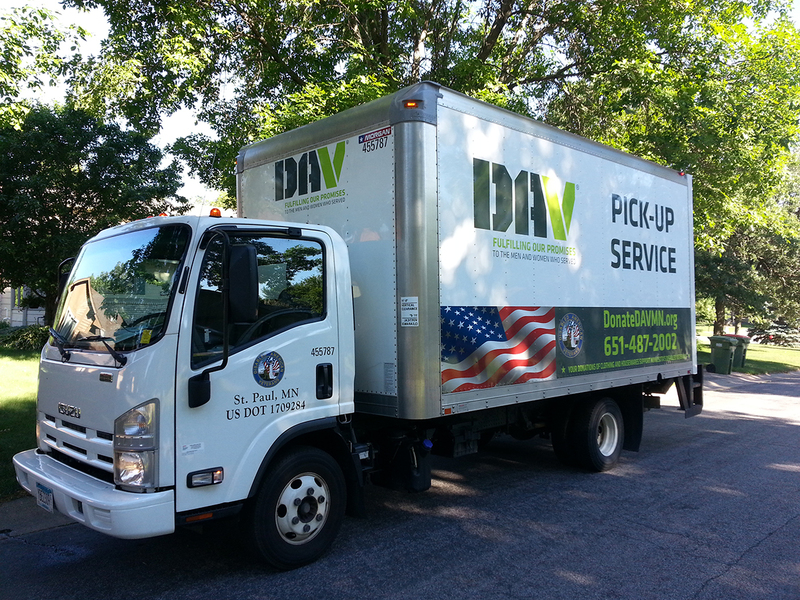 We appreciate small business owners who may be decorating their first truck and we are equipped to handle established entities like Disabled American Veterans, Klingberg Trucking, and Rainbow Treecare with large fleets. We performed more than 15 large installations at the US Bank Vikings stadium and numerous projects for Super Bowl 52. We work seamlessly with architects, custom home builders, and corporate designers on environmental glass and surface finishes like Dusted Crystal and Di-Noc. We are committed to reducing our impact on the environment and giving back to our community. Our three Roland printers consume Eco-Solvent inks, the cartridges are recycled, and we select our suppliers based on their commitment to the environment and sustainability efforts. We use recycled, filtered motor oil to heat our shop. Everything that can be recycled is: cardboard boxes, aluminum cans, old signs, plastic bottles, the mail and we donate scrap vinyl and substrate to schools, day cares and the Ronald McDonald house. Generally it is best to come to the shop to start your project. 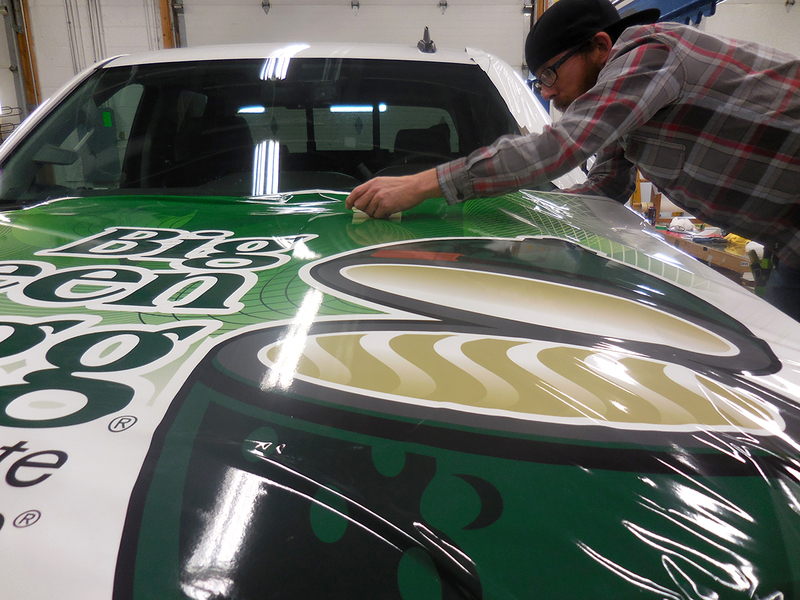 If you are interested in vehicle graphics, bring the vehicle, your vector logo on a flash drive, and any other materials that will help with the design meeting. We do charge for art time, so the more clarity you can provide the more money you will save. If you are interested in signage, the visit gives you an opportunity to examine the samples we have in our showroom and our photo books of past projects. Then we can select the most suitable materials for your project and budget. Some projects do require that we conduct an on-site survey, which will be arranged as needed. Your project will be assigned to the designer with the most appropriate experience. You will receive proofs by email that are in color and to scale. Once a design is finalized, a formal quote will be generated. Each project is custom; each quote is unique. 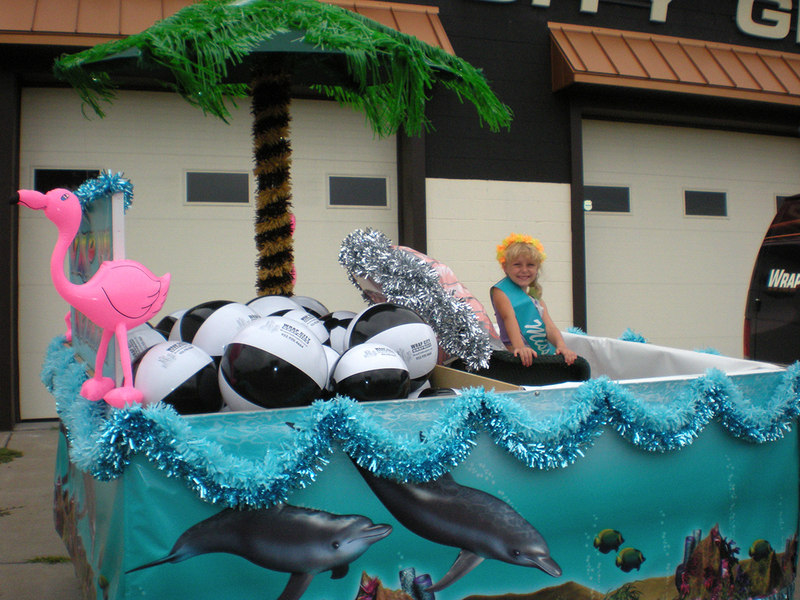 We can also design to a budget, which happens frequently with vehicle graphics and wraps. Once the quote is approved, we may ask for 50% down to secure materials, then your project will be scheduled. 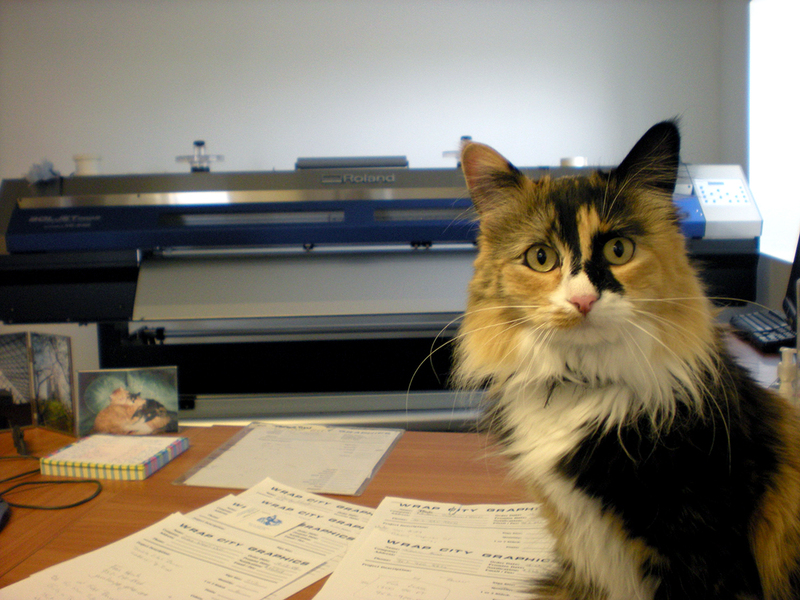 All graphics are produced in-house and we laminate digital prints for abrasion and UV protection. For larger projects and vehicles, we are generally a week out for production & installation. However, we can also handle “sign emergencies;” and simple projects like decals, banners, or yard signs can be turned around in a day or two. 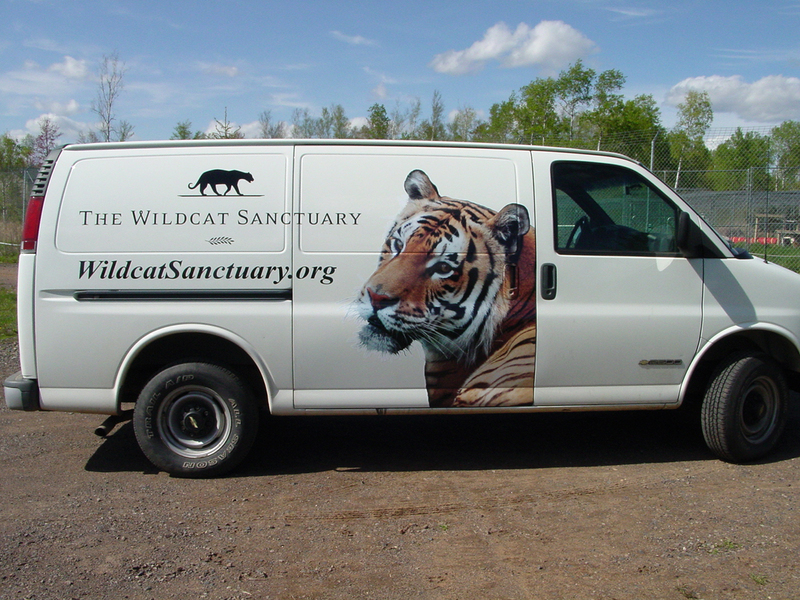 As UASG members, we often install graphics designed and produced by others. Please send your RFQ! Watch our short, goofy movie about our printers and EcoSolv inks.